Bye bye UK, Hello Scotland, Ireland, Wales and England! 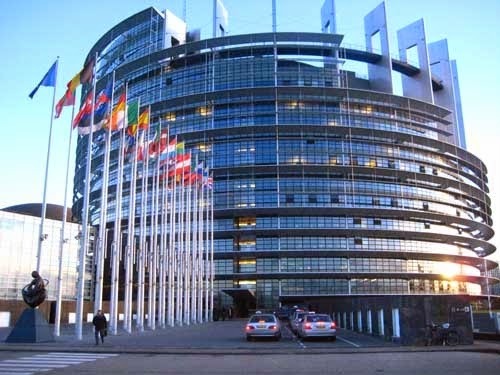 WASHINGTON — When people discuss the stakes of Britain’s decision to leave the European Union, they often talk about implications for the “European project,” the continuing post-World War II effort to unify the Continent politically and economically. But within hours of the polls’ closing on Thursday, it appeared that something much more basic could be at risk: Britain as a multinational state. The United Kingdom of Great Britain and Northern Ireland, as it is formally known, is one of only a handful of countries that consist of multiple nations, politically and legally distinct but united under a common government. That system of government has been the subject of far less frenzied commentary than European unity, because it is smaller, and because it has seemed so stable. But the crisis-ridden, relatively young European Union may well outlast the 300-year-old United Kingdom, a prospect that speaks to both the underappreciated audacity of Britain’s multinational experiment and the strength of the forces that could now put it to an end. There has long been political jostling among the four nations that constitute the United Kingdom, but the so-called Brexit referendum has divided them in ways that mean they may not come back together again. England and Wales voted to leave the union. Scotland and Northern Ireland voted to stay. Within hours, Scottish and Irish politicians raised the possibility that their nations would leave the United Kingdom so they could remain in the European Union. “This outcome tonight dramatically changes the political landscape here in the North of Ireland,” said Declan Kearney, the chairman of the political party Sinn Fein, which has legislators in Northern Ireland and the Republic of Ireland and has long sought their reunification. Mr. Kearney said Sinn Fein would seek a referendum to have Northern Ireland leave the United Kingdom and join Ireland, an independent country (and European Union member). In Scotland and Northern Ireland, the calls to leave the United Kingdom may focus on the economic benefits of European Union membership, but they will also overlap with — and, if they are to succeed, rely upon — more visceral desires for independence. After all, the world has spent much of the last few centuries organizing itself under the principle of national self-determination, in which people with a common identity acquire their own state. Think of Italy for the Italians in the 1870s, Algeria for the Algerians in 1962, Tajikistan for the Tajiks in 1991 and so on. While this idea has brought liberation to much of the world, it has also contributed to countless wars, including Nazi Germany’s invasions to “unify” with the German people of Austria and Czechoslovakia, the violent breakup of Yugoslavia along ethno-linguistic lines and the Israel-Palestine conflict. What makes the United Kingdom so unusual is that it brought together four nationalities who see themselves as distinct yet have chosen to coexist. Multinational states are rare. Some, like China, are undemocratic and oppose political organizing by minority groups, including Tibetans and Uighurs. Others, such as Russia and Nigeria, have struggled to peacefully and effectively unify. In this way, the United Kingdom has been what the European Union always aspired to be but never accomplished: an honest-to-god political union that respects national identity while overcoming the complications of nationalism that helped make the 20th century the bloodiest in world history. Still, questions of national identity have pulled at the country since 1707, when the Kingdom of England and the Kingdom of Scotland merged to become the Kingdom of Great Britain. Because the English have so dominated the country’s politics, culture and economy — they are the largest group, and England’s capital, London, became the kingdom’s — Scots have long pushed for greater autonomy. These questions have been even harder for Northern Ireland, which experienced a violent internal conflict, partly over whether to remain in the United Kingdom or to join Ireland, for much of the 20th century’s latter half. The long road to the 1998 Good Friday peace agreement illustrated the difficulty of keeping a multinational state together, and the calm in Northern Ireland since the agreement shows the value of such a state. Having survived nationalist yearnings from Scotland and Northern Ireland, the United Kingdom could now succumb to the nationalism of its largest and most powerful group: the English. “The referendum campaign, to most people’s surprise — and alarm, even — has brought out English identity,” Robert Tombs, a historian at the University of Cambridge, said in an interview before the vote. The English voted most heavily to leave the union. While many analysts say this grew out of opposition to immigration or skepticism about Europe, Mr. Tombs suggested another driver: an English sense of being underrepresented in their own country. In recent decades, the United Kingdom has kept unity by “devolving” political authority to the three non-English nations, allowing them greater autonomy and independent institutions. Only England, for example, does not have its own Parliament. It is hard to miss the significance that voters in one of the world’s most successful multinational states just chose to leave the world’s largest multinational government. And it is striking the degree to which the United Kingdom’s four nations seem to have disagreed on that choice. The European Union was explicitly founded to address problems of national and political identity. Britain, its most skeptical member, dealt with those very same problems — sooner, and with more success. Now the country could be about to abandon that project, even as the union, for all its setbacks, carries on. But it speaks to the promise of multinationalism that its most committed adherents in the United Kingdom are not the largest and most powerful group, but rather the minority Scottish and Irish so eager to be tied to something larger, even if that means leaving the old partnership to remain in Europe. Hard to know what the Scots want. I can't understand a word they're saying, most of the time. The United Kingdom is ONE sovereign nation and the one that has voted to leave the EU. Scotland doesn't have sovereignty over Scotland, so can hold a Scottish referendum about anything they like, but it can't secede from the UK by its will alone. If Scotland wants to leave the UK and the UK Parliament (in London) says "no", then it's no. London can close the Scottish Parliament if it wants to, just like they did in Northern Ireland during the troubles. The referendum was really about Change or No Change, and the voters were pissed off with Austerity and voted for Change, not because of the Schengen Agreement or the Euro Currency Zone, because they are not part of either. Only businesses and politicians get involved with "European bureaucracy", not the voters. Probably a lot of voters didn't know that and DID vote because of those things, but that is the big weakness of Democracy - counting heads, not what's in them. Cameron hasn't resigned. He says he is GOING TO resign, which is an entirely different thing. This is an important point, and a big part of the Political Weasling going on here in the aftermath of the Referendum. MSM is still ratcheting up the FEAR level, in order to get the public opinion back towards Bremain. The obvious financial calamity already underway will sway even more voters to reconsider here, if they can conjure up a legal means to get a 2nd referendum. Whatever political process comes out of this, it is unlikely to keep pace with the economic repercussions. Those will occur much faster, the political & legal aspects of this are incredibly tedious and slow. My guess is next couple of weeks will see Marine LePen, Geert Wilders, Pablo Iglesias and Beppe Grillo revving up support for referendums to exit the EU in France, the Netherlands, Spain & Italy respectively. This will put a HUGE pressure on the Euro, and it is hard to see how Brussels could withstand this. What is possible and what is practical are too different things. Whilst the UK Parliament has the power to block a motion towards Scottish independence actually exercising this power will increase tensions between the Scotland and England which are already heightened as it is. Part of the reasoning behind the initial Scottish referendum vote for independence was the assumption that England would continue to be in the European Union. As that assumption is no longer valid one of the fundamental conditions in remaining in the UK has been broken. To block a referendum in spite of what happened could be seen as a betrayal by the English to the Scots. The other complication is that the state of UK politics is in some disarray already. Cameron whilst not resigning today has made a clear statement of stepping down and this announcement has already set a chain of events. It will result in the Conservative party having to decide on a new leader and on the basis of that new leadership there is likely to be a major cabinet reshuffle for the most senior members in the party. Then this newly formed party has to then decide exactly on how to go about this Brexit. The only realistic and legitimate way Cameron can backtrack on his statement is if World War III happens between now and October. On top of all that there is also some instability in the competing Labour party as there are continued calls for the resignation of Jeremy Corbyn and several senior Labour figures have already resigned in protest to Corbyn remaining as leader of the party. In light of all that the UK Parliament is not likely to take major controversial steps such as aggressively blocking Scotland's referendum or worse, dissolving the Scottish Parliament. At this moment the UK Parliament needs drama of that kind as much as they need a hole in the head. As for a second referendum, Cameron had previously stated that there will be no second referendum on staying/leaving the EU. Moreover by creating a second referendum it will undermine the democratic process of not only the first referendum but any future votes that were to come in the future. This will be especially true for creating a second EU referendum as new laws that have to be created to make this new referendum possible would be retrospective in nature. This means that what previously held i.e. 50% + 1 of the vote to leave the EU now has to be some new figure. The suggestion made in a new petition which has been signed by three million people is for a Brexit outcome to occur 60% must vote leave and there needs to be 75% turnout in the referendum (https://petition.parliament.uk/petitions/131215). The problem here is many people in the public would see such a move as a desperate act by the establishment to move the goal posts in light of a loss in what people thought was a fair voting process. This would harm the legitimacy of parliament and the trust over the government which is already undermined as it is. There are also suggestions that because the referendum does not legally bind the UK government into invoking article 50 of the Lisbon treaty to start the formal process of leaving the EU, it is possible (in theory) for the government to simply disregard the Brexit vote. In practice this would result in a major public backlash and the fact Cameron had promised, on more than one occasion, that the result would stick would only make any future backtracking that bit more difficult and entail a crisis in confidence for the government in power after taking such action. Hollande has already declared that there will be no referendum, but then he is not in a strong position what with all the strikes and protests going on there. Cameron has weakened his own position, and Johnson massively increased his, and the party is going to have a bloodbath. Corbyn has lots of dissent in his ranks too, and has been weakened by this referendum. So both major parties are going to be reeling for the next weeks and months. Maybe they will be so weakened that they can't stop the break up of the UK, but it can't happen quickly. Ideal for maximum uncertainty in financial markets on Monday after a weekend to pause, read up opinions, and set bets on the day's trade. The Central Banks in London, Tokyo, Brussels and New York just weren't there when they were needed. Commonwealth Bank of Australia had to close its FX desk on Friday afternoon as Sterling was crashing - I expect there will be a lot of that going on everywhere. Sooner or later some bank will get its derivatives seriously wrong and the collapse will be on. Sooner or later some bank will get its derivatives seriously wrong and the collapse will be on. That is a now a certainty for Deutsche Bank the way it appears to me, and the Italian banks are surely insolvent. The questions are"Will They Be Bailed Out"? How Much Fiat? Yes and Lots and Lots are my answers. That would be a helluva coin to have, for its beauty alone. "From Donald Trump to Bernie Sanders, from Syriza in Greece to Podemos in Spain, from the Austrian far-right to the rise of the Scottish independence movement, this is an era of seething resentment against elites," said Guardian columnist Owen Jones. "That frustration is spilling out in all sorts of directions: new left movements, civic nationalism, anti-immigrant populism." "The uprising has begun. The question now is, who will lead it going forward?" The UK's shock decision to exit the European Union has left a foreboding shadow over the American political landscape, sending the U.S.—and the world—a stark warning about the dangers of a disaffected working class and the power of negative politics. Conservatives worldwide have been heralding Thursday's vote as a victory for "the people" over the "political elite." Donald Trump, the presumptive Republican nominee for U.S. president, was quick to heap praise on the result, comparing it with his own campaign, which has similarly preyed on the frustrations of an economically-insecure population, sowing fears about outsiders to garner support. "Basically, they took back their country. That's a great thing," the New York billionaire declared from Scotland, where he arrived Friday for the reopening of a golf resort. "People are angry all over the world. They're angry over borders, they're angry over people coming into the country and taking over and nobody even knows who they are," he continued. "They're angry about many, many things in the UK, the U.S. and many other places. This will not be the last." "The EU has not listened to its constituents. Like other self-absorbed ruling classes, including those in the United States, it is now paying for its arrogance." While many are pointing to the overt xenophobic rhetoric that enabled the "Leave" campaign to win a narrow majority of votes, observers are highlighting how it was the policies of the European Union's political establishment—austerity, deregulation, globalization—that drove those voters into the arms of the conservative campaigners. People Get Ready - Donate now! As Padraig Reidy, editor of the London-based magazine Little Atoms wrote Friday, "The vote was a reflection a growing divide between a metropolitan elite that has flourished in a globalized economy and a populist anger on the part of those who feel left behind." Visionaries who promoted European unity in the years after World War II saw it as a gift to the continent’s people. But their successors have rarely consulted those people, listened to their complaints, or adjusted EU policies to meet their needs. Instead, they embraced the ideology of deregulation, privatization, and reduced social spending. They imagined Europe as a free-trade zone with open borders but little social protection for ordinary people. "The EU has not listened to its constituents," he added. "Like other self-absorbed ruling classes, including those in the United States, it is now paying for its arrogance." Indeed, the parallels with the United States are clear. In the lead up to the November elections, rampant inequality continues to grip the nation while campaign finance laws push lawmakers to unabashedly peddle policies that solely benefit the corporate elite. Distrust of the American political establishment enabled at least one outsider candidate, Trump, to dominate a major party while, Hillary Clinton, the presumed Democratic nominee, has been plagued by consistently high "unfavorability" ratings—largely because of her entrenchment in the political class. Clinton's rival, Bernie Sanders—whose outsider bid drew a massive swell of support during the Democratic primary—said Friday that the vote to leave the EU was a testament to the failure of the global economy. "What this vote is about is an indication that the global economy is not working for everybody," he told MSNBC. "It's not working in the United States for everybody and it's not working in the U.K for everybody. When you see investors going to China and shutting down factories and laying off [...] millions of people, people are saying, 'You know what, the global economy may be great for some people but not for me.'" "So what we need to do," Sanders continued, "is create a situation where there is more international cooperation—put an end to these horrific wars that we have seen over the years—but at the same time we must make sure we do not forget about the people left behind, and make sure we have jobs, and income, and healthcare for all of our people." Like the rise of Sanders and Trump in the United States, the vote was "a stunning rejection of Great Britain’s political establishment," wrote Richard Eskow of Campaign for America's Future. The Leave campaign, Eskow explained, "prevailed despite opposition from all three major political parties" in the UK, as well as U.S. President Barack Obama, who "crossed the Atlantic to stand beside Cameron and offer his support." "Voters rejected all of them," Eskow added. "The uprising has begun. The question now is, who will lead it going forward?" As for how this dynamic will play out in the United States, only time will tell. Gorgeous Surly. The feel of one in the hand too. It's weight, solid unusual feel, and that special Golden Glow. Our ancestors didn't hand it down to us as money without centuries of thought and study also trial and error. Yep. My opinion as well. Goodbye, twenty trillion debt, hello hundred trillion debt. Not that it matters at this point. It's all just make believe now Eddie. Who is going to bailout DB? The Bundesbank? The ECB? Their derivatives book is like 10X the GDP of the entire EU! Adding to the turmoil and chaos, Spain's general election this weekend has produced more or less the same outcome as last December's election - after which the parties were unable to agree to form a governing coalition. The Spanish working class have also had enough of Austerity, while the elites have had enough of higher taxes and will move their operations overseas to cheap labour countries. So long as the class struggle continues in this vein, with everybody wanting more stuff while the available energy to drive it is falling, there is no solution. Corbyn got in on the votes of Labour Party rank-and-file members, not on the Parliamentary Labour Party, and so this could be his big chance to wipe out all his PLP opposition - they can always split off and form the Blairite Party, and disappear into oblivion.